The productivity of the KIP 7170 system is designed to satisfy the most demanding needs of decentralized users. The versatile KIP 7170 may also be expanded to provide multifunction convenience. 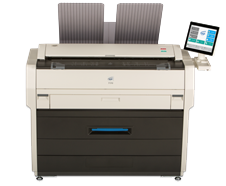 KIP 7170 system software is ideal for decentralized environments and expandable to meet the need for centralized printing.